As the food and beverage industry moves forward, increased stringent checks on quality and safety are moving forward also. That’s why Valves Online as your approved supplier would like to keep you up to date on additional approvals and standards that our range of products including valves, actuated valves, control valves, pumps, and sensors comply with. SIL Certification is increasingly being requested for critical applications and safety systems across many industry sectors. SIL certification provides a standardised assessment on the level of risk or probability of failure of a piece of equipment thereby allowing you as the customer to make an educated decision on what your process demands. 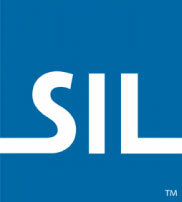 We can now offer valves, actuators and accessories with SIL ratings. Our actuators are available in aluminium, stainless steel and other materials and provide options for pneumatic (single or double acting) and electric automation. Likewise, our valves which are supplied from leading manufacturers, such as Mars Ball Valves, Bray Butterfly Valves, Burkert, Inoxpa and many more; all of which can be supplied with this certification. The certificates where available are being added to the technical information tab on our online product pages, however they can always be requested from our technical sales engineers. The FDA is the US governmental department responsible for assuring the safety, and efficiency of products that might affect or enter the food chain. As such it is applicable to any valves involved in the manufacture or processing of foodstuffs. Primarily concerned with the gasket seals and elastomers used in valves, FDA approval means that the elastomer is suitable to come into contact with food. 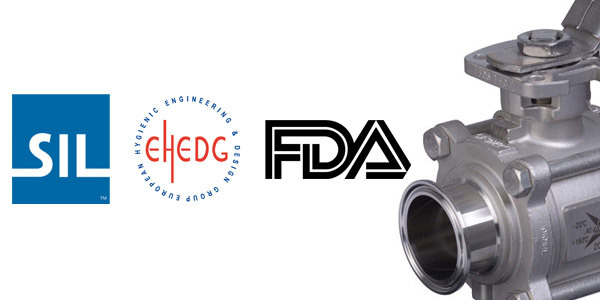 Our hygienic valve range complies with the requirements of the Code of Federal regulations as published by the FDA and we again are in the process of providing the appropriate statements and certification on our technical information tab on the product pages. 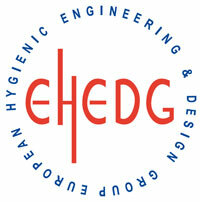 The European Hygienic Engineering & Design Group (EHEDG) is a consortium of equipment manufacturers, food industries, research institutes as well as public health authorities and was founded in 1989 with the aim to promote hygiene during the processing and packing of food products. EHEDG actively supports European legislation, which requires that handling, preparation, processing and packaging of food is done hygienically using hygienic machinery and in hygienic premises (EC Directive 2006/42/EC for Machinery, EN 1672-2 and EN ISO 14159 Hygiene requirement). Where the product conforms with EHEDG guidance and is certified as such you can be certain that the product fulfils the latest requirements. Valves Online through Hygienic Select can offer a wide range of valves, actuated valves, control valves, pumps, and sensors that are designed and certified to EHEDG requirements. If you do not see the certification you require above do not hesitate to get in contact with our technical office, who can advise and source products that will satisfy your requirements complete with any requisite certification that you need.